Is China’s rise unstoppable? Powered by the human capital of 1.3 billion citizens, the latest technological advances, and a comparatively efficient system of state-directed capitalism, China seems poised to become the global superpower this century. But the Middle Kingdom also faces a series of challenges. From energy scarcity to environmental degradation to political unrest and growing global security burdens, a host of factors could derail China’s global ascent. In this edition of The Munk Debates — Canada’s premier international debate series — former U.S. Secretary of State Henry Kissinger and CNN’s Fareed Zakaria square off against leading historian Niall Ferguson and world-renowned Chinese economist David Daokui Li to debate the biggest geopolitical issue of our time: Does the 21st century belong to China? 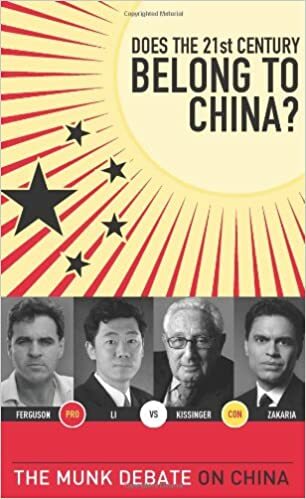 Highly electrifying and thoroughly engrossing, the Munk Debate on China is the first formal public debate Dr. Kissinger has participated in on China’s future, and this volume includes exclusive interviews with Kissinger and Li.